Will my osteopath discuss my details with anyone else? Old Bridge Surgery – Looe. This service is delivered by South Devon Osteopaths on behalf of the NHS in Cornwall to provide services under the DoH Any Qualified Provider (AQP) scheme. The service aims to provide patients and GP increased choice with clinics based in safe, familiar, community settings. 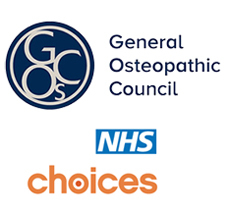 Clinics will be staffed by Osteopaths and provide assessment, diagnosis and hands on treatment for patients suffering neck and low back pain with or without radiation via GP referral. A strong emphasis is placed on self management to include; hand outs on education, postural advice and home exercise – with time spent discussing the patient’s complaint with the use of models and pictures. All advice and intervention will be in keeping with NICE guidelines CG88 on low back pain and the DoH neck and back care service specification. On completion, a letter of assessment will be sent back to the referring GP within 5 days with information on initial assessment, response to intervention and advice provided for self management. Any recommendations on future referral or management will be in keeping with the map of medicine local clinical pathways. Access to the service at this time will be via the provider, although the service will be bookable on choose and book in the near future. A referral form and patient booking information is attached. Primarily back or neck pain with or without ‘referred’ symptoms to the limbs. Postural related neck and back pain. Suspicions of serious pathology– urgent to secondary care or as per locally agreed pathways. Patients under 16 years of age. Patients that do not meet referral criteria. Patients who are not registered with a GP in locality. Patients who it is recognised at point of referral / initial assessment have little or no potential for further or sustained improvement through undertaking a course treatment. Patients with widespread musculoskeletal pain. Patients who have a primary peripheral limb problem with secondary back and neck pain (e.g. hip or shoulder problems, foot or gait abnormalities). Women who are over 35 weeks pregnant. Further information may be found at www.southdevonosteopaths.co.uk, we have a dedicated GP resource page with further information on our services. SDO Ltd maintains a monthly blog to publish monthly data sets on wait times, clinical outcomes and patient and GP satisfaction surveys.